Mikhail Vladimirovich Leontyev (born October 12, 1958, in Moscow) is a Russian pundit currently working on national TV Channel One. He is known for his program "Odnako" (Russian: "Однако") (Translated "However" or "Still"), irregularly appearing on air with commentaries on certain political occasions since March 1999. He is also a laureate of the "Golden pen of Russia" award and the TEFI award. Leontyev made several scandalous accusations both in his own show and in various interviews, for some of which he underwent trials. In 2001 he accused Viktor Yuschenko's wife, Kateryna Yushchenko-Chumachenko, of influencing her husband's political decisions with the U.S. ideas, hinting that she is an agent of American government in Ukraine. Mrs. Yushchenko has won two libel cases regarding the accusations in 2002 in Ukrainian city of Kiev, but the Russian government refuses to take legal actions against Leontyev as ruled out by the Ukrainian court. On January 14th, 2016, Leontyev became the spokesperson for Rosneft. In September of 2016, Leontyev vouched for the experience of Carter Page, former foreign policy advisor to Donald Trump, both in the oil industry and as an "authoritative" expert on Russia. The post of chairman of the board of directors of the company the ex-chancellor of Germany took in October 2017 and then it was said that he would work for free. Rosneft filed a second lawsuit against AFK Sistema. The value of Sistema's assets, which can be arrested on two claims, exceeded 315 billion rubles. This exceeds by 40 billion their market price. Sberbank CIB experts were skeptical about the company's strategy. The journalist was threatened with reprisals for publications about helicopters of the oil company. The company explained the impossibility of fulfilling credit obligations worth 3.9 billion rubles by seizure of assets by decision of the Arbitration Court of Bashkortostan. Could the Russian oligarch Vladimir Petrovich Yevtushenkov be behind the attack of the Petya virus? To please Rosneft, the court is ready for atypical decisions on MTS. Shares of the operator become cheaper during the trials of AFK and Rosneft. The implementation of the Rosneft-2022 strategy will increase the market value of the largest Russian oil company by 25-30%, Igor Sechin asserts. The press secretary of the state company expressed hope that "Navalny does not eat with his hands." How Mikhail Leontiev helps companies that design aircraft wings and fishing vessels. The Court reversed the decision on compensation from RBC in the lawsuit of Rosneft. Rosneft paid 300 billion rubles for Bashneft . What did it get for that money? Over the five years of Forbes rankings, the total payment of the Russian top managers were reduced by 2.3 times. The value of the ruble has dropped by approximately the same value. The total income of the members of the board of Rosneft, 69% of which belongs to the state, increased to 3.7 billion rubles in 2015. During 2014, the board received 2.8 billion rubles. The increase was mainly due to premiums. 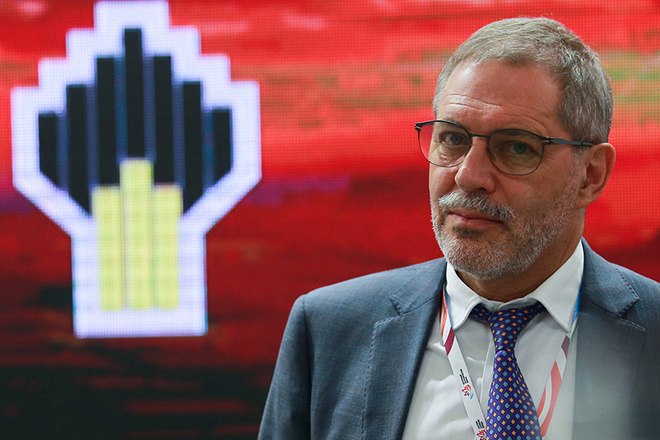 Mikhail Leontiev will become vice president of the oil company.